ESMO - the European Society for Medical Oncology - is a leading European professional organisation for medical oncology, comprising over 19,000 oncology professionals from over 150 countries. Held under the tagline “Securing access to optimal cancer care”, the ESMO 2018 Congress takes place on 19 to 23 October in Munich, Germany. 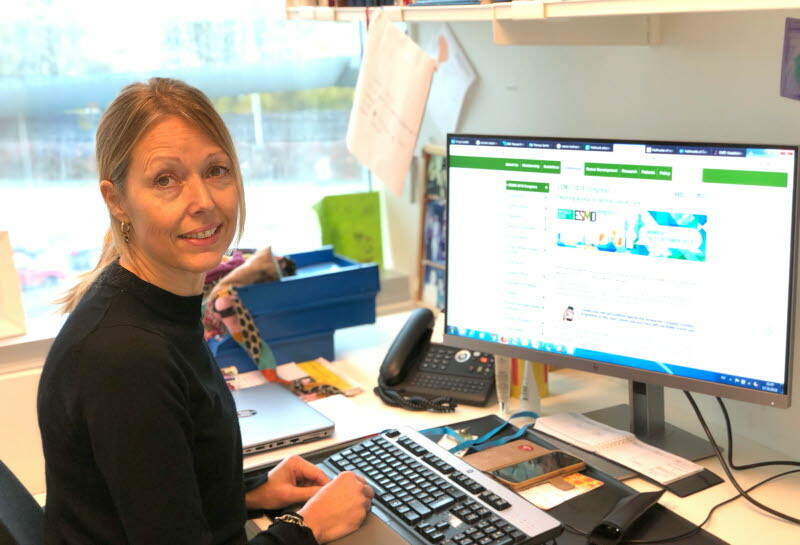 Therese Sørlie - head of the Department of Molecular Genetics and leader of the Breast tumor initiation and progression group - is in the programme committe for basic research at ESMO, and she will chair several discussions during the conference. Sørlie has been interviewed about current trends that will be covered by the meeting for popular Norwegian health newpaper "Dagens Medisin", and she presents her views in an article entitled "Towards less cancer treatment".